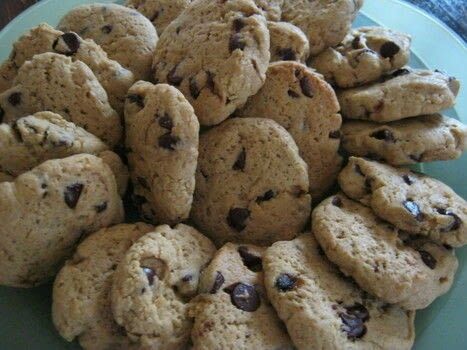 These chocolate chip cookies can be made thin or thick to your own taste. 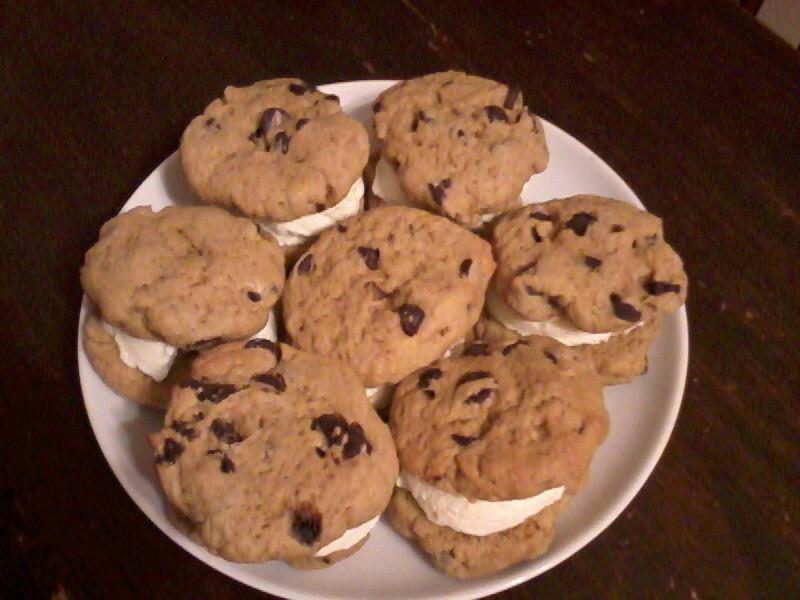 I made them thick and chunky as I was using them for ice cream cookie sandwiches. They taste awesome when they are still warm from the oven but taste equally as good when made into sandwiches. Give them a go and you will see how tasty they are. 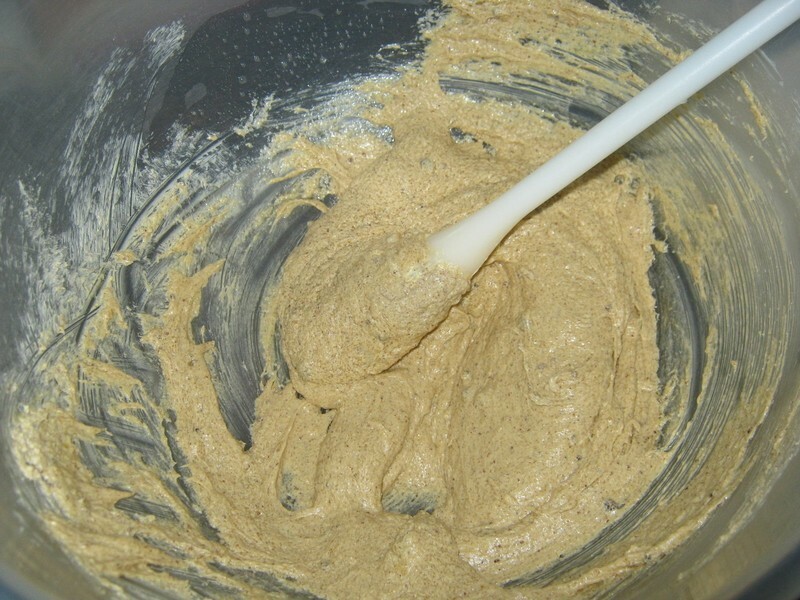 Mix the butter & sugar together until light & fluffy. Add the egg & mix. 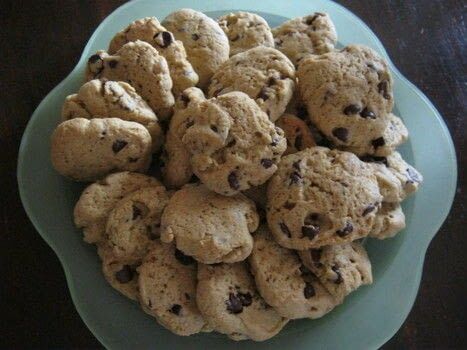 Add half the chocolate chips then half the flour. Mix in the remaining chocolate chips. 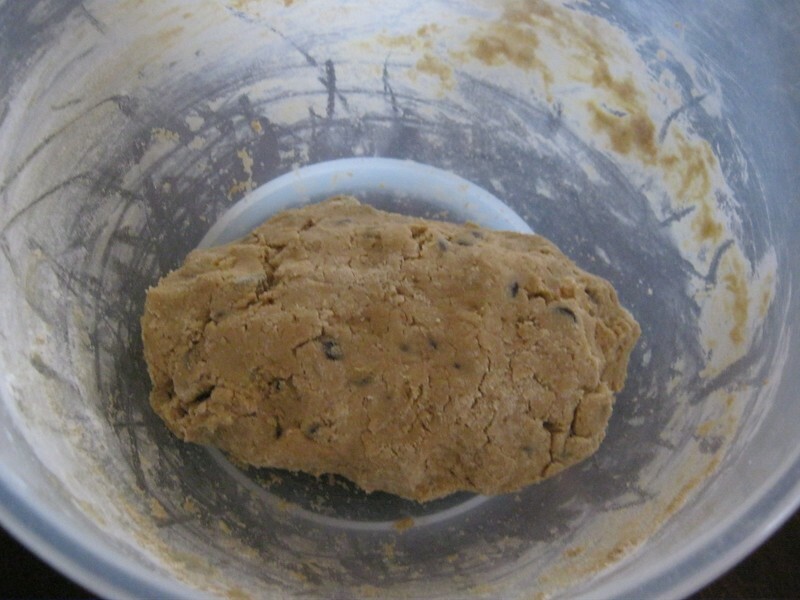 Add the rest of the flour and the baking powder until a dough is formed. Roll the dough into a sausage shape and cut out the cookies to the thickness you wish. 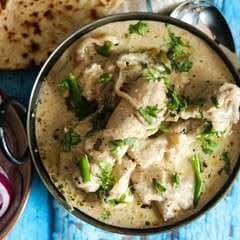 Place on a lined tray and place in the oven for 14 mins. 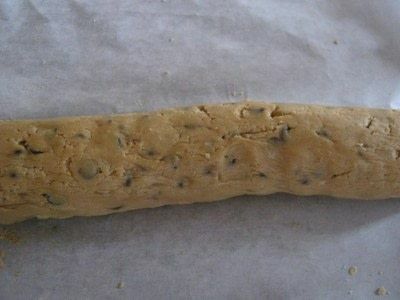 Remove from the oven and leave to cool a little before placing on a cooling rack to completely cool. 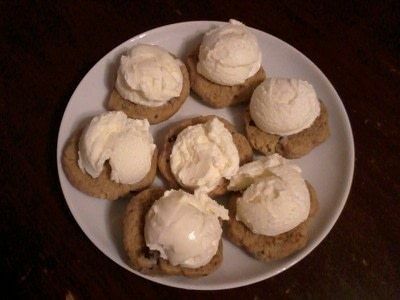 Place a scoop of ice cream on top of one cookie, top with another cookie and eat.